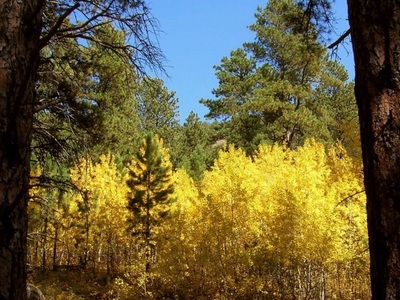 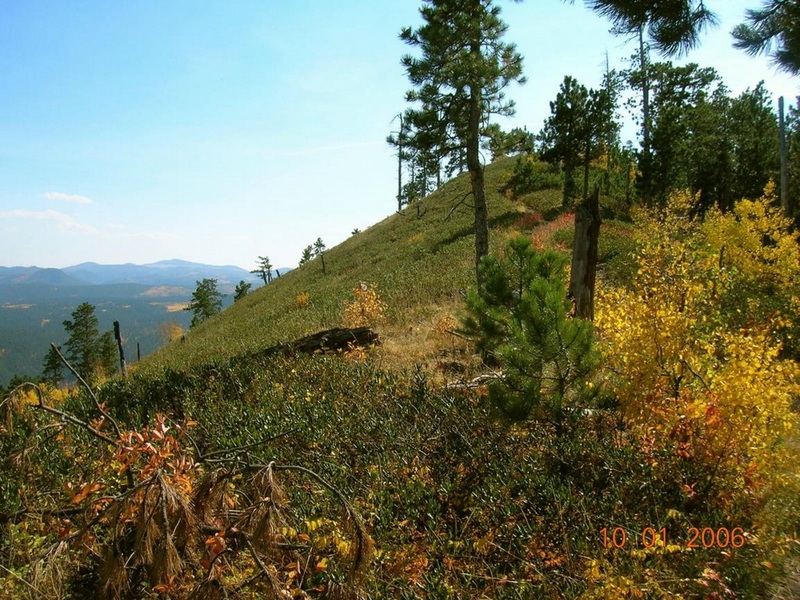 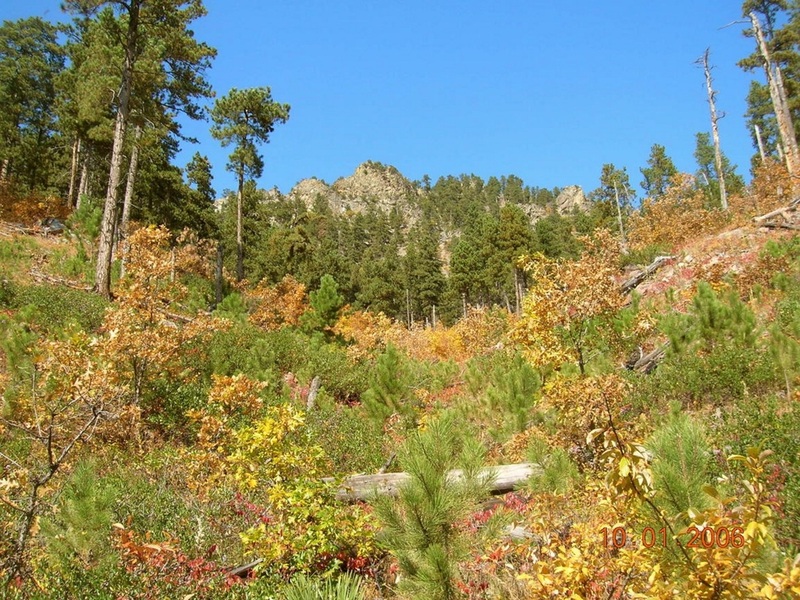 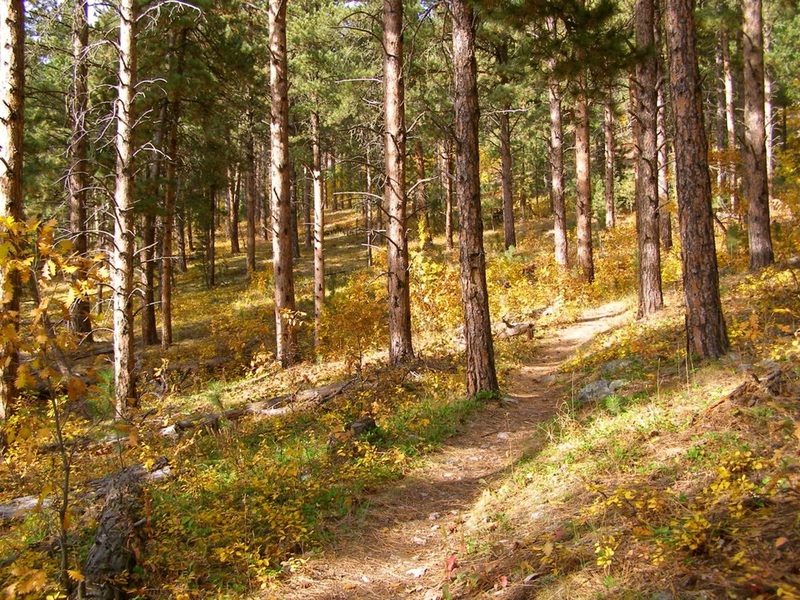 One of the best intermediate-level hikes in the Black Hills is the Crow Peak Trail. 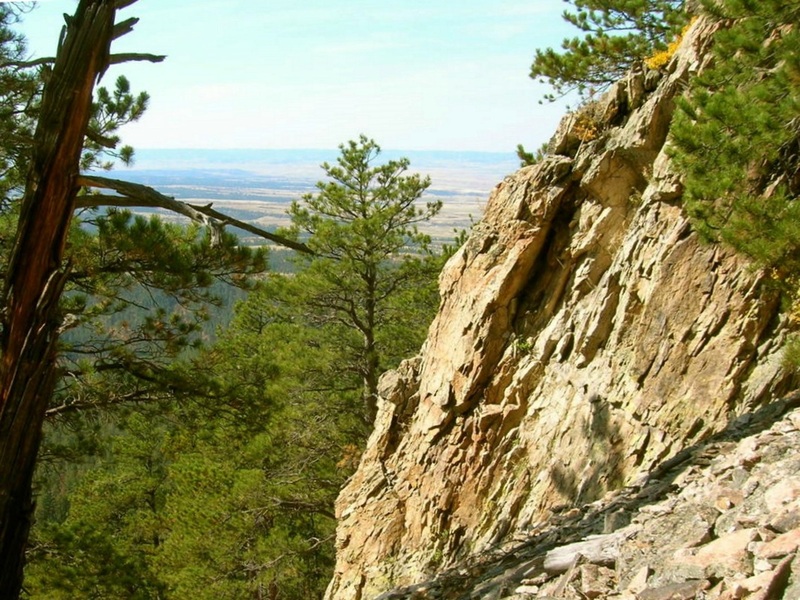 With more than 1500 feet of elevation gain over 3.5 miles, this is clearly no beginners hike. 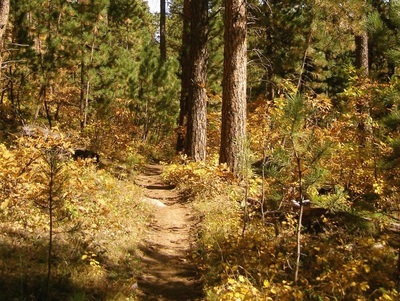 However, the quality of the trail plus the views along the way, make this an outstanding trek. 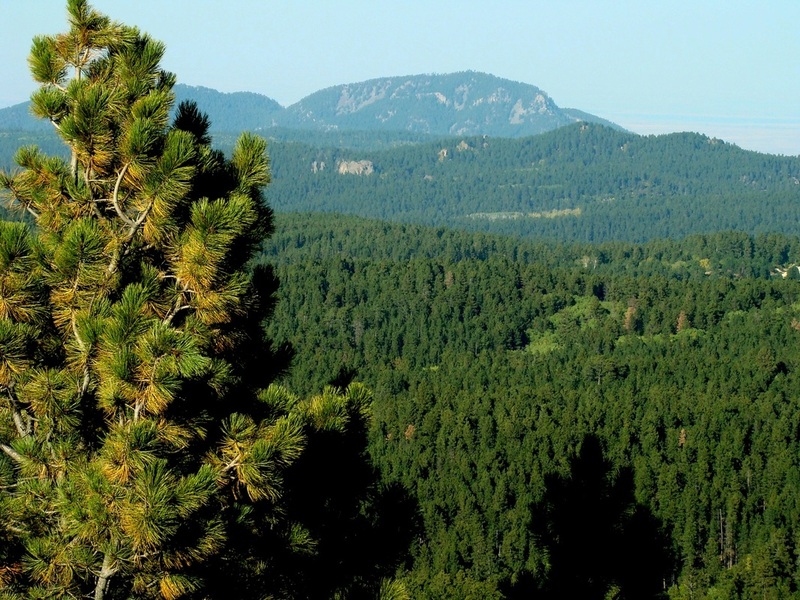 Crow Peak suffered serious forest fires in 2012 and more damage the next year from Winter Storm Atlas. 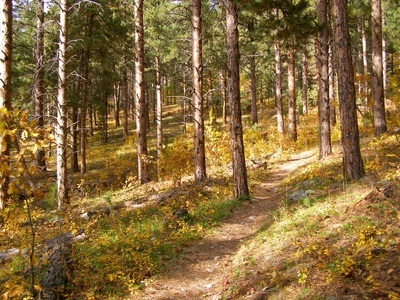 Forest service crews have repaired the trails so that things are back to normal now. There is a .5-mile spur trail from the upper half of the Crow Peak Trail that takes hikers to a point looking west into Wyoming. 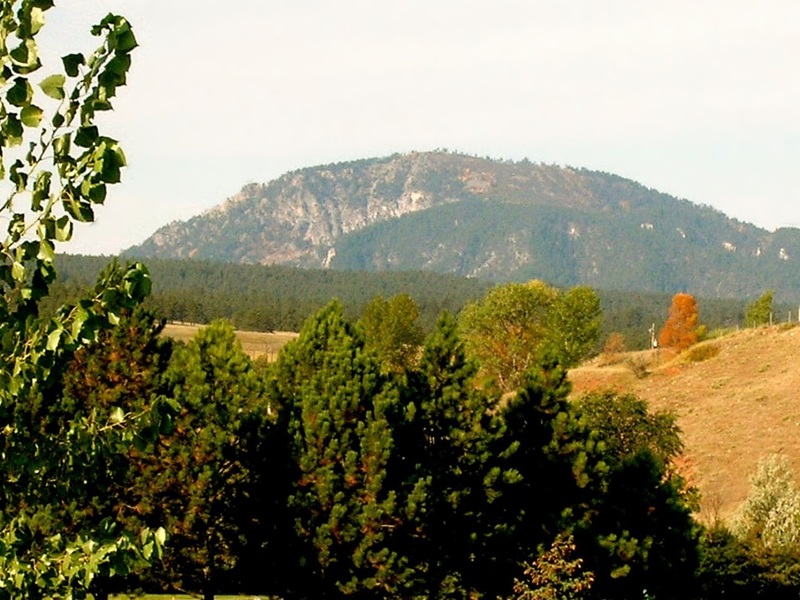 At the summit, hikers can see Terry Peak, Inyan Kara, Lookout Peak, Spearfish Peak, Bear Butte, Cement Ridge and other peaks. 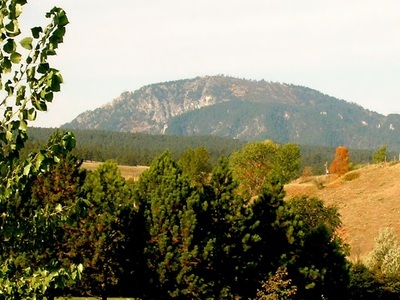 Crow Peak dominates the western skyline of Spearfish, South Dakota. 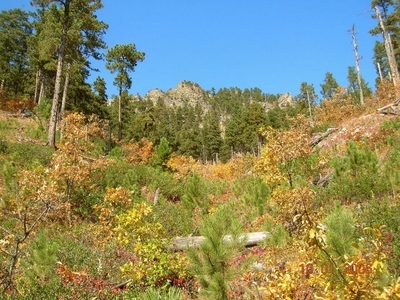 Despite forest fire damage, pine beetle kill and Winter Storm Atlas in 2013, there is still significant forest cover on the mountain. 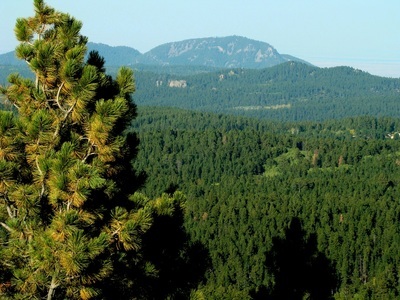 Crow Peak was originally named “Paha Karitukateyapi” by the Sioux tribe, which means “the hill where the Crows were killed”. Crow Peak summit view of Spearfish. 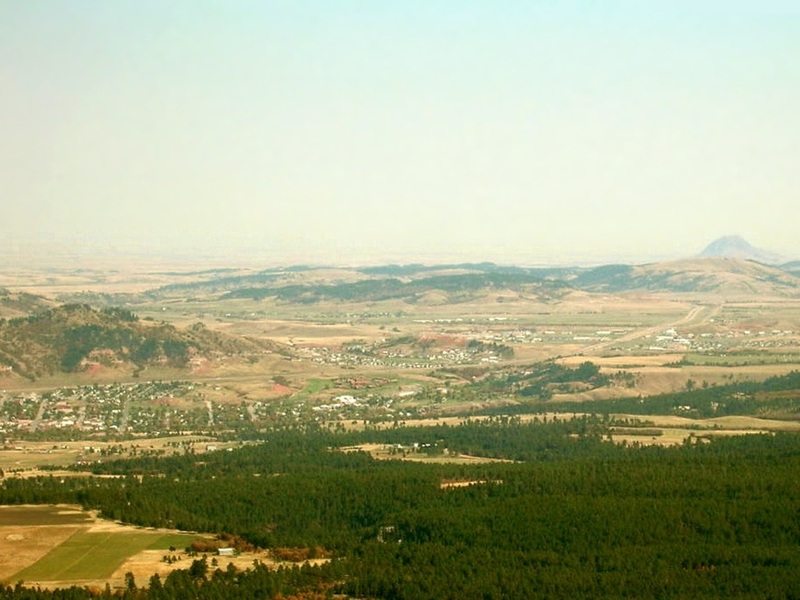 Bear Butte is in the far distance, while Lookout Peak is to the left.